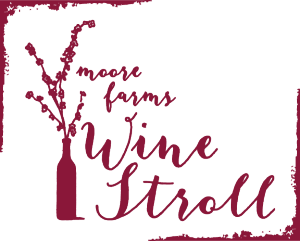 Take in the beauty of Moore Farms Botanical Garden as you sample some of this region’s best wines at the garden’s annual Wine Stroll on Saturday, April 6, 2019. 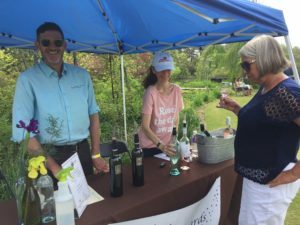 Sip your way through our enticing 65 cultivated acres, dotted with vendor booths featuring more than 70 different wine selections and food from local eateries. You’re sure to find at least one wine that dazzles your palette as you stroll along and listen to the lively tunes from GLS & Company. What’s extra special is that all event proceeds will benefit the Lake City Junior Sorosis Club, a group of women committed to making a difference in the lives of area residents. If you really want to enhance your Wine Stroll experience, get a VIP ticket which includes a session with well-known sommelier Jean Pierre Chambas from 1PM-2:30PM, an event wine glass and a special gift. A sober ride service will be provided to and from downtown Lake City during the event. It will pick up and drop off at Inn at the Crossroads. Or, spend the night in Lake City! 3PM-6PM. VIP entry starts at 1PM. This event will occur rain or shine. No refunds will be provided due to inclement weather. Early bird: $30 (Includes event wine glass to taste all of the selections).